Mimsy: Can Californians drink a train? California’s been in drought since 2012. Thanks to El Niño, it has finally ended, four years later—actually, fifty months later—in 2016. 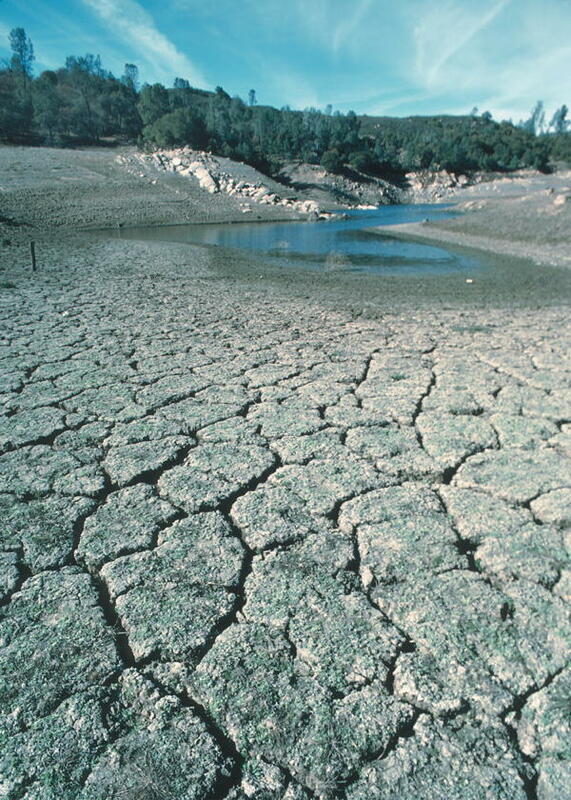 During those four years, California chose to spend a lot of money combatting future droughts. They did this by building some extraordinarily expensive, and getting more expensive all the time, high-speed trains. They did this because they say they believe the drought was caused by man-made global warming, and that building high-speed trains will alleviate the global warming caused by people driving cars. Now, ignoring for the moment that the real reason the left loves trains is that they are the epitome of central control that keep on paying graft dividends forever, let’s take them at their word that building trains is, for them, a climate change measure, and that their intention on building them is to alleviate climate change and keep droughts from happening in the future. This is a perfect example of the trade-offs that get ignored whenever politicians invoke the term “climate change”. Nature does not care what their intentions were. Their theory is either right, or wrong. If their theory is wrong, if this drought and future droughts are the same as past droughts in California—then the hundred billion spent on combatting climate change was not money that accidentally made the world better, as the meme went. It was money spent poorly, that demonstrably makes the world—or at least California—far worse. California’s reservoirs were built for a population of about twenty million people. It’s difficult to calculate how many “people-years” the current reservoir system is worth, because Californians start draining underground aquifers when the reservoirs get low2. But judging from the actions of the reservoir authority this last year before the drought broke—they even canceled releasing water for a time—it sounds like the reservoirs have enough water for forty million people for about five years. This means that when they were built, the reservoirs were reasonably situated for a maximum normal drought of ten years.3 Reasonable enough, especially since the plan, at the time, was to keep building more reservoirs. They had even picked out the locations. But those reservoirs were mostly canceled, which means they did not pick up any of the rainfall and runoff from this year’s el Niño. If the next drought occurs in ten years, California will likely have sixty million people. Their reservoirs, no matter how much it rains between now and then will, if full, have enough water for about a three-year drought. That is less than the length of the current drought. And no matter how many reservoirs they build between now and then, they cannot capture this year’s uncaught rainfall and runoff. If they had spent that hundred billion dollars to build up twenty or thirty new reservoirs, that extra capacity represents people’s lives saved during the next five-year, or longer, drought. There is a basic tenet of economics that money spent does not cost the money spent, it costs what the money would otherwise have been spent on. Is California’s slow high-speed rail worth its cost? And that was just me looking randomly through news reports, which is why they’re weighted toward the present. There have probably been others over the last few centuries. Oddly, one thing they don’t start using is that huge mass of water running up their entire border called “the Pacific Ocean”. Half the people, twice the time. Can Californians drink a train? last modified February 10th, 2016.